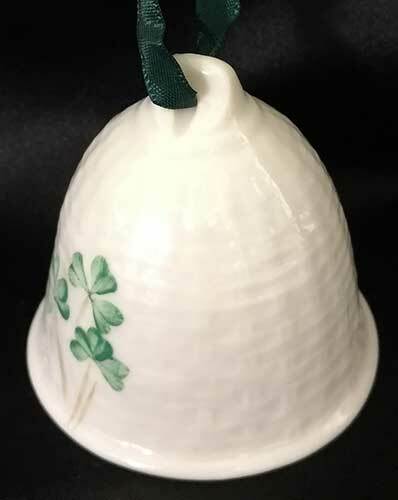 Belleek 21st annual Christmas ornament is the Belleek Pottery bell. Sorry the Belleek Pottery ornament is now sold out. Belleek Nenagh Castle is a china ornament that is fashioned after its namesake in Co. Tipperary, Ireland. Belleek ornament celebrates our first Christmas together in 2008. Belleek nutcracker ornament is playing a drum. 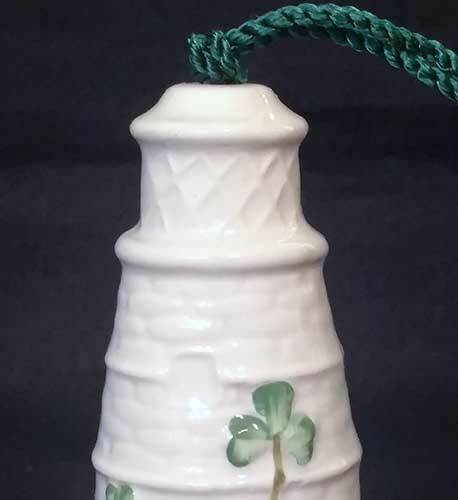 Belleek St. John's Lighthouse ornament is a china bell that is fashioned after its namesake in County Down, Ireland. Belleek annual Christmas ornament is the Dunore lighthouse bell. 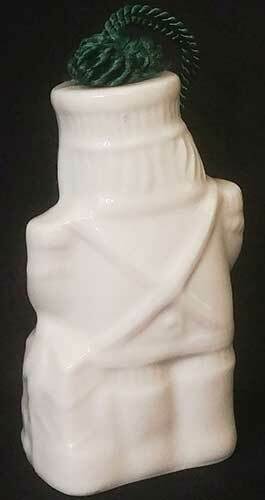 Sorry, this Belleek annual ornament is now sold out. 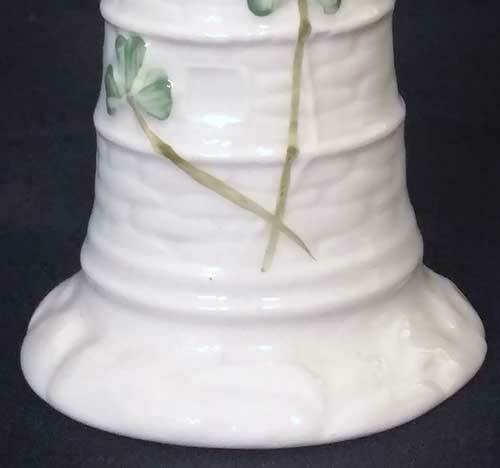 Belleek Carlingford Lighthouse ornament is a china bell that is fashioned after its namesake in Ireland. Belleek ornament celebrates our first Christmas together in 2003. Belleek Lismore Castle is a china ornament that is fashioned after its namesake in Co. Waterford, Ireland. Belleek ornament celebrates our first Christmas together in 2010. Belleek China ornament is an embossed bell in the shape of Santa in his sleigh. 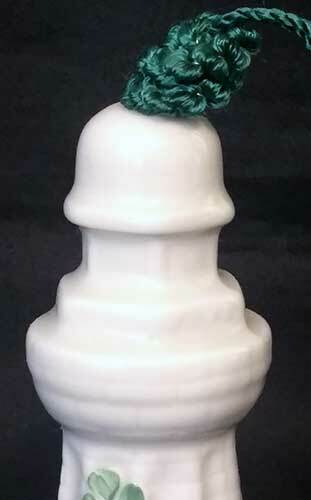 Belleek snowman ornament is a bell that is crafted of fine china and features embossed skis. Belleek bell ornament features four calling birds embossed on fine china. This Belleek Christmas ornament features two turtle doves. Belleek Santa ornament is a fine china bell with embossed features and a green shamrock. Belleek snowman ornament is a bell that is crafted of fine china and features an embossed carnival outfit. Belleek ornament is a fine china Christmas bell that features Santa bearing gifts. Belleek ornament celebrates our first Christmas together in 2006. Belleek 1st annual Christmas ornament is the shamrock bell. Sorry, this Belleek ornament is now sold out. Thank you for browsing through our collection of Belleek ornaments; if you wish to view additional choices we suggest you look at our Irish Christmas ornament section and the assortment of Royal Tara China Christmas ornaments. In case you didn't know, The Irish Gift House stocks the complete line of Belleek that ranges from vases to dinnerware and includes an assortment of Irish tea pots. 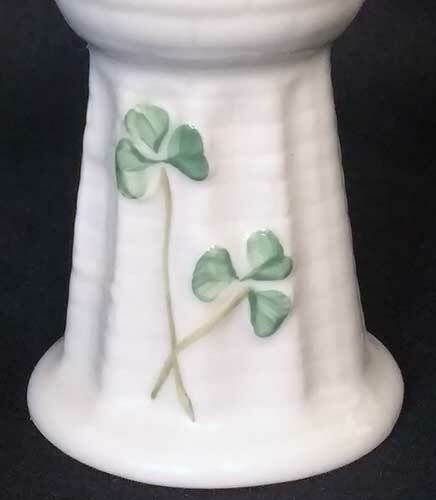 Belleek has been producing fine Irish china since 1863 and the tradition continues today; you will see the quality in everything they sculpt including the intricate baskets and the picture frames that are decorated with Celtic knots and shamrocks.